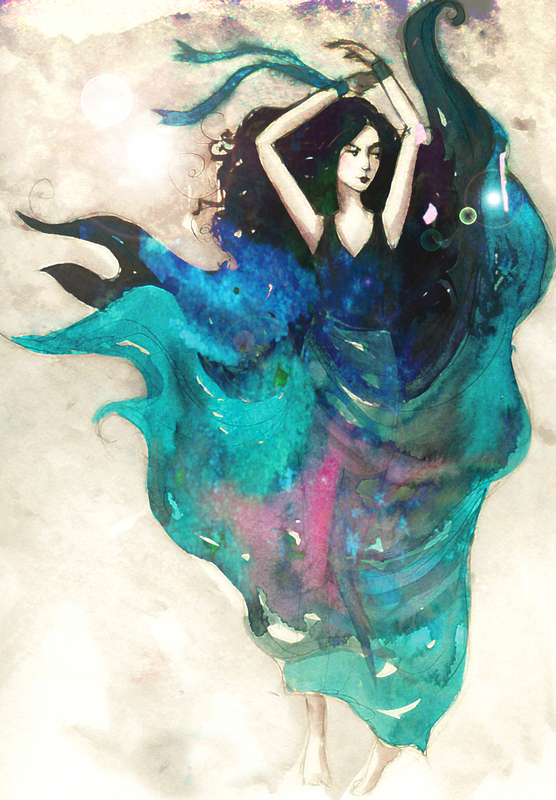 Nyx is the Greek Goddess of Night. She is shadowy and mysterious with exceptional power and beauty. So powerful, even Zeus feared her. She has many children including Hypnos (God of Sleep), Eris (Goddess of Strife), Eros (God of Procreation) Apate (Goddess of Deceit- which sounds like my next painting) Moros (God of Doom), Oizys (Goddess of Misery, which also sounds like another painting) end many many more. Some records indicate that she was the mother of Hemera, Goddess of the Day. While other stories indicate they are siblings. Mother and daughter -or- Sister and Sister are said to live in a dreary house in the far west where they pass each other at sunrise and sunset.